You may have heard artists like Cage the Elephant, Bastille, Alison Wonderland, and Odesza being played on WNJR. Well if you are interested in seeing any of these artists live be sure to check out the Firefly Music Festival! Firefly Music Festival will be held this year in The Woodlands in Dover, Delaware from June 18th to the 21st. There will be 100+ performers spread out over six stages! Tickets are on sale now and if you are interested in learning more about the festival you can check the website out here! Also don't forget to tune in to WNJR to listen to a few of these artists before the school year is over! 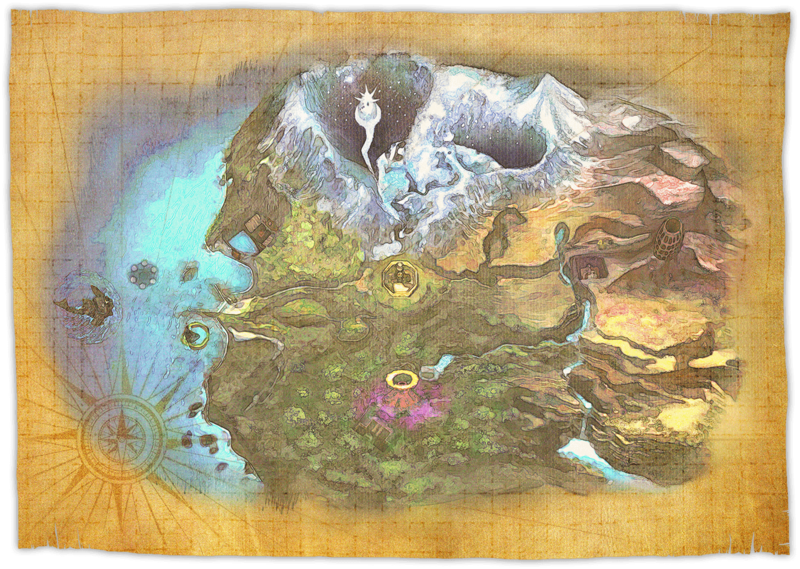 The map above is of Termina and I would like to first make note of the 5 regions on this map. There is the white Snowhead to the north, the green Southern Swamp to the south, the dried up Ikana Canyon to the East, the vast Great Bay to the west, and finally the Clock Town in the center. The claim I am making is that each area represents one part of the 5 stages of Loss and Grief, for more information on the stages click here. The first area that Link goes to on his journey is the Southern Swamp. This symbolizes the the stage of anger because the Deku King is angry about the loss of his daughter. Then link quells this anger by rescuing the daughter from the Woodfall temple. The next area that Link heads off to is Snowhead. The gorons that live here are very depressed about the loss of their great hero, Darmani. Link restored the faith in these gorons by assuming the role of Darmani and saving land from its unending winter. The next area that Link treks towards is the Great Bay. This area is plagued by unsafe water temperatures that one of the Zorans, Lulu, is grieving about the loss of her eggs to unsafe territories. Lulu is suffering from a form of denial and isolation, not talking to anybody and keeping to her self. Link saves the eggs and restores to water to get Lulu to start talking and singing again. The next area that Link heads off to is the Ikana Canyon. This wasteland is haunted by restless souls of the dead. The ghosts here are bargaining with their time here on the earth with the loss of their life and the slow process of turning them insane. And so Link shows to them the way to the afterlife. The final area that Link saves is Clock Town. Here people are trying to understand why the moon is getting ever so close to the earth and deciding what to do. Link, after his journeys, has come to accept his fate as the hero of the land and the task of dealing with the moon, defeating the evil that has plagued the entire land. There you have it each of the areas is somehow related to the 5 stages of loss and grief.